Every insurance policy contains various terms and conditions including an insured’s Duties in the Event of a Claim. Please familiarize yourself with these responsibilities. In the unfortunate event that you suffer a claim, please see to your safety first and then fully document your damages to prove your loss to the insurance carrier. The following guidelines should be helpful. Take pictures or video of all damage, if possible. Do all you can to stop or reduce further damage from the initial incident. 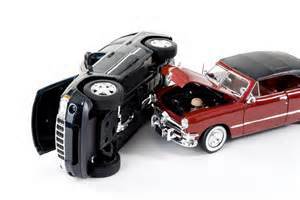 Contact our claims department, or your insurance carrier directly, as soon as possible. You do not have to wait to contact us, or to be seen by a claims adjuster, to start your temporary / emergency repairs; though you should document everything you do. Permanent repairs should not begin without the adjusters approval. Don’t sign any documents, unless presented by the police, our office, or your insurance carrier. Get names, license plates, auto insurance information, and witness contact information. Do not accept fault, let the police and insurance carriers discern fault from the facts. If you wish to submit a claim directly, you may call your insurance carrier’s claims department using the numbers listed below. If possible, have your policy number available when you call. In addition to reporting a claim, there are firms that specialize in large scale damage cleanup and repair, and can assist you should you have an extreme event in your home. Contact these companies, if warranted, to attempt to stem further damage or begin clean-up, in extreme cases. We at Levitt-Fuirst are committed to protecting your home, auto, and business; but we realize protecting your family comes first. Please take every precaution during an accident or damage situation, and we will help you sort out the repairs once everyone is safe. Please note that a standard Homeowners Insurance Policy will not extend to flood damage. A Flood Insurance Policy is required to protect your home from flood water damage (if you do not have a flood insurance policy, you cannot obtain one at this point, without a 30-day wait period, unless required sooner in conjunction with a mortgage closing). If you have a question about your insurance coverage, please contact your Levitt-Fuirst representative directly. If you are unsure who your representative is, call our main number (914-457-4200) for assistance.